Home › Women Champions League 2016 › Un – Deux – Trois ! It’s Lyon’s Gals Making All The Noise ! Un – Deux – Trois ! It’s Lyon’s Gals Making All The Noise ! Un-Deux-Trois ! 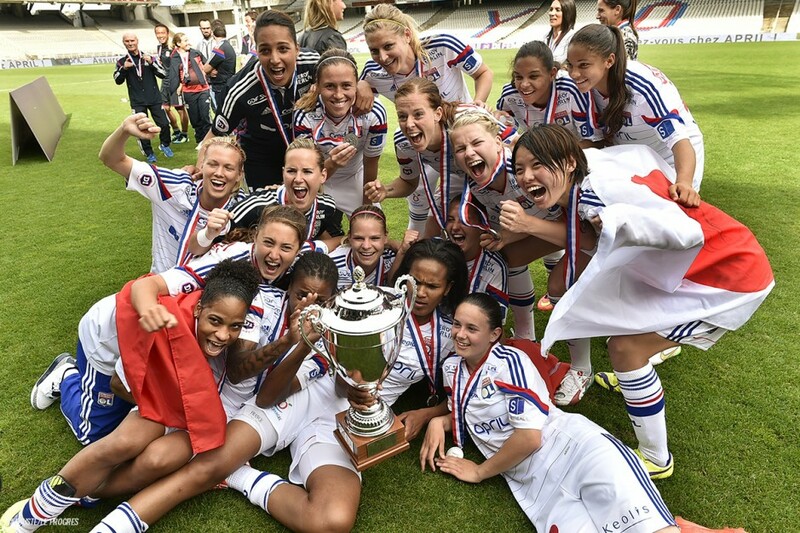 (One-Two-Three) Three, is the magical number for Olympique Lyonnais’ girls! 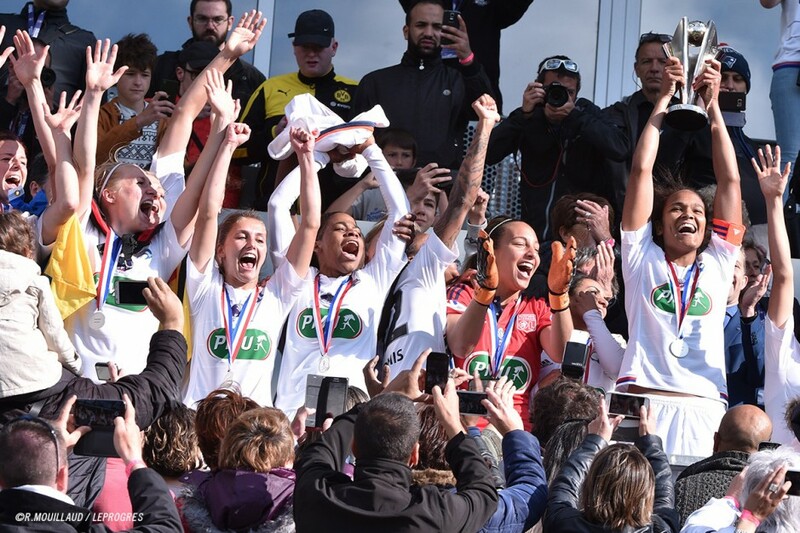 Three titles won this current season, Ligue 1 Champions, France’s Cup holders and cherry on the cake, Women’s Champions League winners, third time in the last five years after two heartbreaking Final losses (2010 and 2013). Lyon’s lionesses are the kind of team that leave only some rare crumbs to their opponents; Paris st Germain put good money in their female team, hired a former Lyon Head Coach and signed several good international players, but it’s not enough; the Parisians became without contest the best SECOND team of France, the contrary of their male counterpart. ( PSG finished 1rst, Olympique Lyonnais 2nd in 2015/16 season). The Female Gones won 14 Championships (10 in the row 2007/2016) were 4 times vice-champions, 8 National Cups (the last five in the row 2012/2016) and their story is just beginning. Women’s football took his time to develop in a country where playing the game was “harmful” to the young women’s body, could stop the girls growth and even bring sterility”. During World War II French president Maréchal Pétain, banned it for this sport was “harmful to the women’s body”. Since then, the Frenchwomen showed their worth winning more trophies than their male colleagues, but alas there’s no equality in their monthly wages ! Many of “professional” players have to work outside the club and train afterwards , just because football doesn’t pay any decent money. Lyon and PSG are the only clubs where the wages are decent and maybe this is one of the reasons of these two clubs success. When the deliverance came, a lot of the players started having water in their eyes; joy tears for the Lyonnaises, bitter ones for the Germans ; every player gave her best during that game and that’s why football is so beautiful ladies and gents, no matter the players’ gender ! But the story is not finished yet, not for the Lyonnaises; they are invited from the club’s president Jean-Michel Aulas to spent some days of endless partying in South France’s famous resort of St Tropez and you can be sure that the Lyon’s gals will make all the noise !